Sit on a bench with your legs wide apart. Rest your left hand on your left knee. With your right arm hang a dumbbell just off the floor and push your triceps into your thigh. 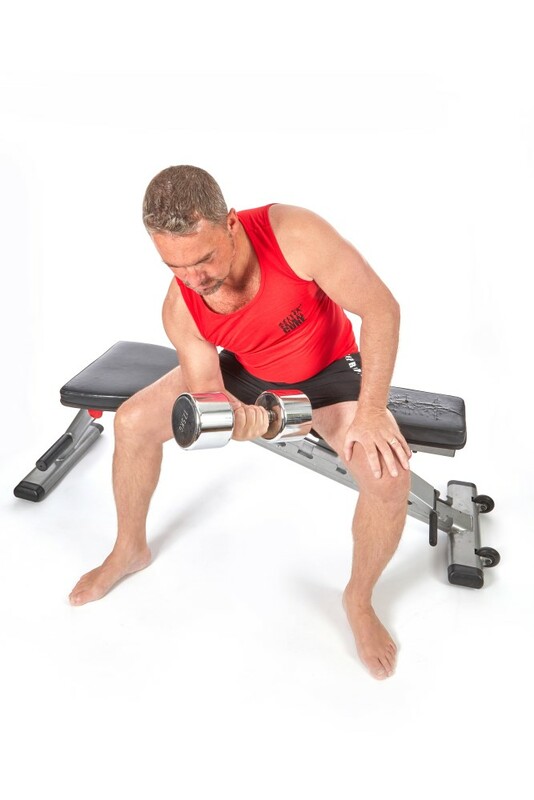 Your thigh will stop you from cheating, now curl the dumbbell, really concentrating your attention on the bicep. At the top, squeeze for England! And then lower and repeat.